Every year we see new and exciting trends emerge from the housing market that include chic designs, vibrant colors and much more. This year, you will surely see some of the hottest trends in 2015 that can give your space and home a gorgeous look. Everyone wants to be in on the latest designs so it can distinguish one home from another, so check out some new fads that are ready to be found in your home! Coral shades will be making an appearance all over your home as they add a blast of color into any room. According to Sherwin-Williams, coral shades reflect the country’s optimism on the future, so bright and vibrant colors will provide for youthful and exciting feelings. The shades can give any room a fresh and sophisticated look! Gone are the days of separated living spaces where people had to holler from room to room for a conversation. 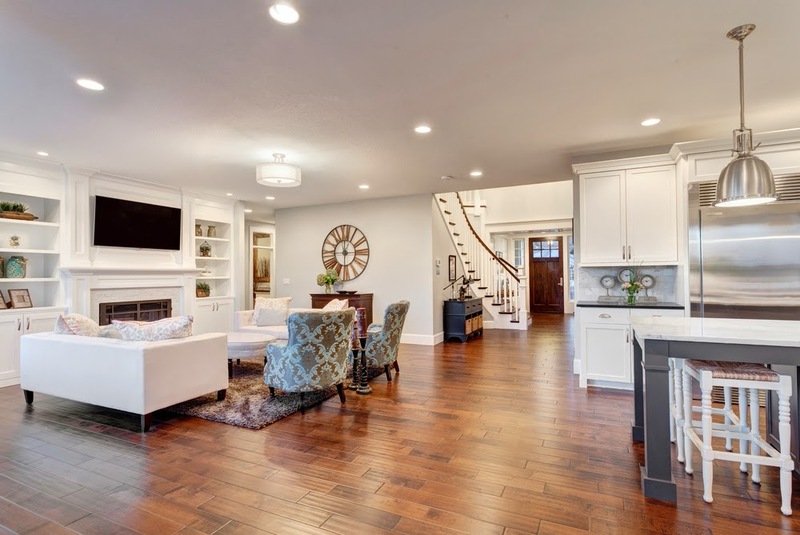 Open concept floor plans become more and more popular as the years go on because they make any home feel bigger, more inviting and streamlined. Most new condos in NJ boast open concept floor plans because they make for greater entertaining space. It’s without a doubt that we are always connected to our devices and chances are you need to charge it every day. With 2015 revving up, you can expect to find new townhomes and condos to feature wall outlets with USB ports. These features add convenience to everyday life and having them strategically place in ideal locations like kitchen counters and in bedrooms can make any homeowner happy! The best thing is that if your home doesn’t have those outlets, you can head down to the hardware store and pick some up. If you think about it, some cars that are 20 years old or older have keyless entry so why haven’t our homes caught up with the technology yet? Well, some builders are beginning to switch to biometric fingerprint door locks so you don’t have to worry about forgetting your keys anywhere. As long as you have your finger, you can get right inside!